Hard Drive Space: 140 MB. VGA: Resolution of 800 x 600 with 256 colors. Internet connection for online order of photos. Photo Editing Tools: Smart Erase, Blending Brush, Unsharp Mask, Gaussian Blur, Mini Lab, and Panoramic Stitching. Photo Organizing Tools: Addition of music and narration, slideshow editing tool, sorting, and categorize. Photo Retrieving Tools: You can retrieve your images from any of the external storage media available in market. Photo enlargement is possible and also you can order the prints of the edited image. This software comes with Photo Story Module, Editor Module, and Library Module. In Library module tools for rating the image, adding the captions and labels, editing the properties of files, organizing the photos and videos are available. The batch edit tool available will surprise you by its operation. Using this tool you can resize, rename, and convert the batch of images at a time. The interface provided is user friendly so there is no need to study the software deeply. 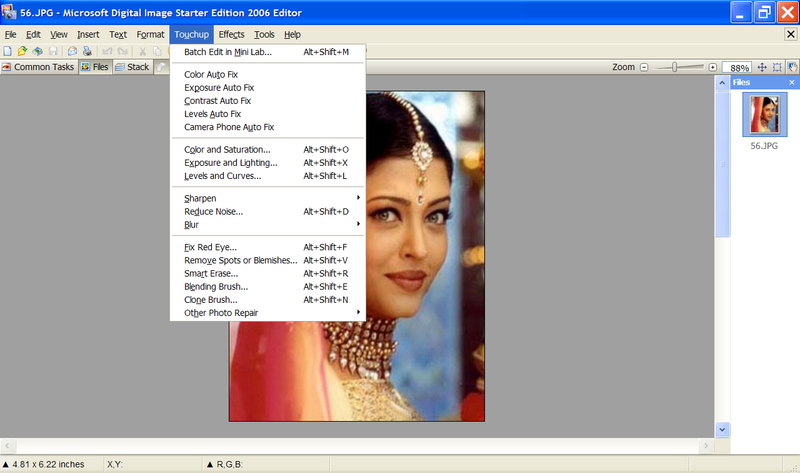 The Editor module contains all the image editing tools. Working with the layers is possible but you don’t have any special tools option available. The layers can be worked when you are adding new objects such as text, images, etc. Using the format option you can rotate, apply canvas, crop, straighten, resize, and flip the image. The Photo Story Module enables you to create stories the same you read in comics book by addition of images of your choice. You can also create movie, edit the available video by adding narration. So don’t just look around just download Microsoft Digital Image Starter Edition and experience the magic of advanced photo editing tools available with this software. This software is available from Microsoft and is absolutely for free as Starter Edition.